Design the ideal fireplace for your home and use reidsville propane. A fireplace is one of the most important features in a home. Homebuyers are looking for them in real estate searches and homeowners who don’t have them are adding them. If you dream of having a fireplace, consider these design options and find the one that sets the tone you want for your home. 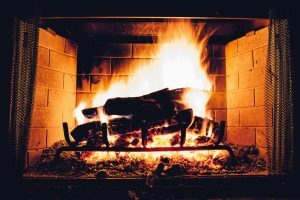 Reidsville propane suppliers Carolina Fuels can help you choose the right style for you and install gas logs and a propane tank to keep your home cozy this winter. The Traditional Fireplace Never Goes Out of Style – Whether brick or stone, the traditional living room fireplace complete with hearth and mantel is a classic look. Even an old wood-burning fireplace can be fitted with propane logs for convenience and cleanliness. The mantel allows room for decorative items and offers a place to hang Christmas stockings during the holidays. Modern Fireplaces are Sleek and Stylish – The modern looking fireplace can be crafted with marble or polished stone tile and clear glass to showcase the beauty of the flames. Some are fitted with propane logs that mimic wood, but current trends are moving toward stones and embers that glow beneath the flames. The positioning of modern fireplaces in the home has even changed from the traditional style. The Built-In Style Makes the Fireplace Look Like a Piece of Art on the Wall – Modern fireplaces can be built right into the décor of a room so that it looks like a piece of art on the wall, but with actual moving, warming flames. A propane fireplace can be built in a kitchen island or a support wall between two rooms. The ever-popular below-the-television style puts the focal point of the room in one location. A Multi-Sided Fireplace Shares its Ambience with Multiple Rooms – Though the concept is not modern, the styles of today’s multi-sided fireplaces are. Built into a wall between rooms with clear glass encasing up to four sides, the beauty and warmth of the flames can be enjoyed from multiple rooms at once. This style is in tune with the open-concept floor plans that are so popular in homes today. Natural – Utilizing an existing chimney with traditional masonry or a metal chimney pipe, the gases created during combustion are vented outside. Direct Vent – These sealed-combustion fireplaces draw air for combustion in from the outside and pump waste gases outside through a nearby wall or ceiling to minimize heat loss. Vent-free – A catalytic converter cleans the air as it leaves the combustion chamber so that it can be vented directly into the room without releasing harmful gases. Vent-free technology has made many of the modern design options possible. Contact your Reidsville propane supplier to make your fireplace dreams come true. To be sure the equipment you want will work properly in the space you want to install it, and to make sure you get the safest and most efficient equipment, contact Carolina Fuels, your Reidsville propane supplier. Carolina Fuels will install your gas fireplace as well as the propane tank. Propane experts will estimate the size of tank you will need for the amount of propane you plan to use and can deliver propane on a predetermined schedule so that you never run out. If you’re thinking of getting a new propane fireplace, call Carolina Fuels today at (336) 623-9741.